The beautiful *Mandalay Shores Resort* is located in the pristine California harbor town of Oxnard. The resort itself is mere steps from the beach. Such proximity affords vacationers the opportunity to take advantage of many outdoor activities like biking and hiking and various water sports such as swimming, fishing and sailing in the crystal clear Pacific Ocean. 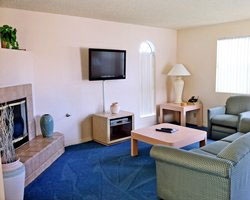 With only seven total units the atmosphere at Mandalay Shores Resort is friendly, quiet and calm. The harmonious ambiance coupled with the many on-site amenities geared towards relaxation (i.e. spa, sauna, pool) create the perfect place for a beautiful holiday! 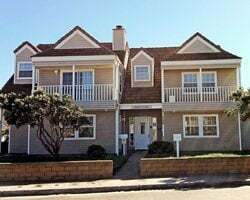 Small & beautiful resort with timeshares like homes! Yearly floating week! Buyer may receive a title fee credit; inquire for details! Come to sunny California every year in a floating week! Block away from the beach!